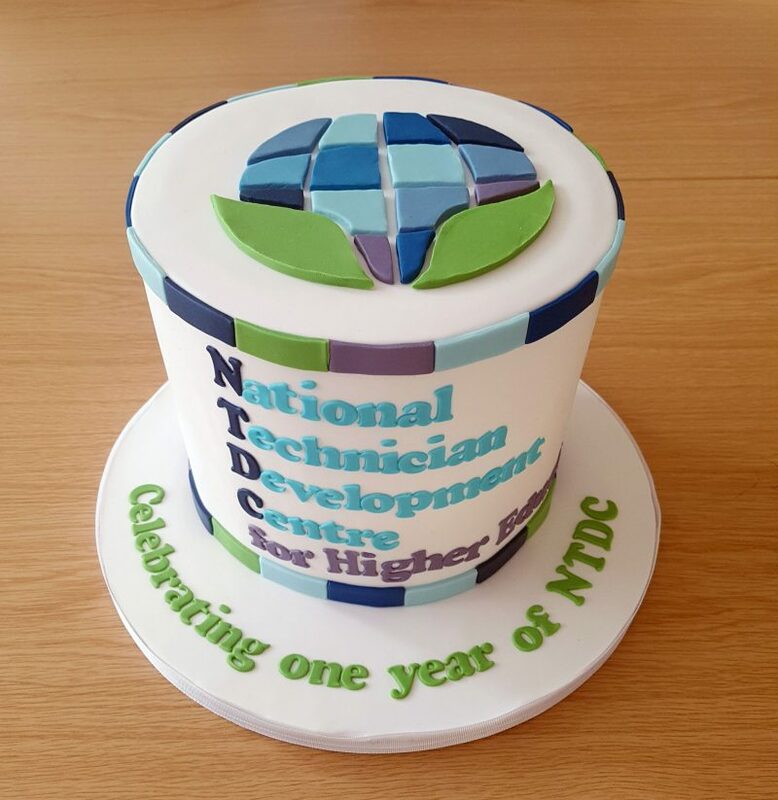 Here at the National Technician Development Centre we are today proudly celebrating one year since our official opening. Based in Sheffield, the National Technician Development Centre (NTDC) was officially opened by Lord Sainsbury one year ago today, on the 13th of February 2018. Over the past year, we have been working with over 30 Higher Education and Research Institutions, 17 of who are now official Partners. The expertise of our team at the National Centre has grown over the past year. We have taken on more staff, for example to help run the Skills Audit, which has been in high demand, as well as increasing our number of consultants, who are now based all over the UK, from Newcastle to the South West. The Centre team have covered the length and breadth of the UK running workshops and presenting at events, from Technician Commitment events in Belfast and the Tower of London to the Staff Development Conference in Bournemouth. 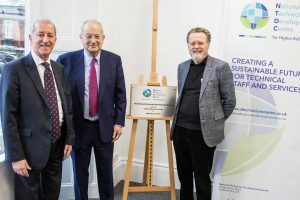 Image of Terry Croft, Lord Sainsbury and Sir Keith Burnett at the opening of the National Technician development Centre in 2018. The Centre is particularly pleased that there has been a flourishing of activity in relation to recognising technicians. 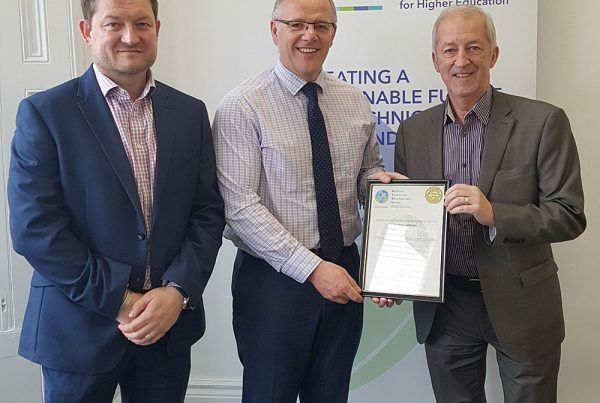 The increasing recognition of the importance of Professional Registration and the Technician Commitment are a sign that the sector is recognising the value of its technical workforce. “Championing professional registration and career development for our nation’s technicians has been a priority for my Gatsby Foundation for many years. The interest in the services provided by the NTDC is testament to the growing acknowledgement of the vital contribution of technicians in our universities. “I would like to add my warmest congratulations to the National Technician Development Centre on an all the important work it has done in this first year to further the professional recognition of technicians upon whom so much of U.K. Science, Medicine, Industry and Innovation depend. Technicians have for too long been unsung heroes and it is right that our institutions and the country as a whole support technician professional development and networks which strengthen the careers of individuals and the total contribution technicians make to our understanding of the world and the productivity which supports our economy. “We are delighted with the work we have done in our first year of operation as the National Centre. With our expanding team of consultants and rapidly growing list of partners, we are working with HEIs and Research Institutions across the UK. We would like to thank all our Partners and institutions that we have worked with. We would particularly like to acknowledge the funding contributions of HEFCE, the University of Sheffield and Manchester Metropolitan University, without which the Centre would not exist. A full list of NTDC Partners includes: the University of Sheffield, Manchester Metropolitan University, MRC Harwell, the University of Reading, the University of York, HEaTED, the Institute of Science and Technology (IST), the University of Manchester, De Montfort University, the University of Cambridge, the University of Newcastle, Technical Managers in Universities (TMU), Queen’s University Belfast, the University of Bradford, the University of Lincoln, University Bioscience Managers’ Association (UBMA) and Edinburgh Napier University. Recently released, the TDM report entitled ‘Spotlight on Technicians and Technical Services in Higher Education’ covers the work of the Technical Development and Modernisation (TDM) research project that ran between 2014 – 2017. To mark our first year in operation we have launched our first newsletter – you can see the pdf version of the newsletter here. What is the future of labs? Previous PostWhat is the future of labs? ©National Technician Development Centre 2018.